Members participated in the ABC CREATE STREAM Conference on March 9, 2015 (pictured here). The Community Robotics, Education and Technology Empowerment Lab (CREATE Lab), at Carnegie Mellon University’s Robotics Institute, explores socially meaningful innovation and deployment of robotic technologies. We aim to empower a technologically fluent generation through experiential learning opportunities in and outside of school. We define technology fluency as the confidence to author / creatively configure technology to pursue individual and collective goals. One way we explain technology fluency is in contrast with technology literacy. A technologically literate person is a competent user of technology, has studied the manual and knows how to operate a system for its intended use. A technologically fluent individual views technology as raw material and can shape it to meet her personal and community needs, through creation and repurposing. In the context of education: Technologically fluent students apply technology to study, communicate about and impact issues of direct concern. Technologically fluent educators use technology to grow their practice, apply it in context-relevant ways, use it to identify diverse student talents and facilitate multiple learning pathways. CREATE Lab projects offer experiences that foster technology fluency. However, fluency cannot be shrink wrapped and mass distributed. Building fluency requires ongoing engagement and support. Empowering a learner to leverage technology for making a difference, in their lives and their community, requires intimate understanding of local context. Through partnership with colleges of education the CREATE Lab brings technology fluency to communities in locally relevant ways. An outreach team in each college of education acts as a CREATE Lab Satellite, sharing and supporting CREATE Lab projects in their community through teacher professional development, pre-service teacher training and graduate education programs. Satellites serve as a local hub educators can turn to for guidance, equipment and resource lending, and other support. Facilitating regular ongoing communication, the CREATE Lab coordinates activities, collaborations and sharing of best practices among all Satellites. The Satellite Network hosts a bi-annual conference to share lessons learned and promote a public conversation around technology fluency. Since the inception of the first CREATE Satellite at Marshall University (September 2011), the Network has actively engaged over 8000 students in more than 100 schools. 80% of those are in disadvantaged communities such as extremely rural West Virginia. 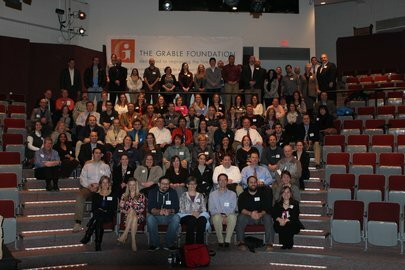 The Grable Foundation provides support to organizations that improve the lives of children in the Pittsburgh region from early childhood through the formative years, inside the classroom and out. Partnering with the Grable, the ABC CREATE strives to implement a regional approach to collaborating, assessing, and expanding STREAM Education. Penn State New Kensington serves as the coordinator of ABC CREATE. The institution supports the development and implementation of a collaborative action plan aimed to amplify and disseminate best practices from schools and educators. The main goal is to identify and promote a set of common practices that cut across grade levels and content areas to empower educators and students in the Alle-Kiski Valley. The Pennsylvania State University Electro-Optics Center (EOC) served as an initial partner for ABC CREATE to help connect ABC CREATE with business partners. Following changes in personnel and a refocus on their mission, the EOC's involvement has diminished. The EOC was established as an enabler of electro-optics manufacturing technology. Established and managed by Penn State under an ONR ManTech initiative, the EOC exists to serve the need for electro-optics manufacturing technology through development and execution of technical programs, workforce development at all levels, and transition of technology to production. The EOC has formed an alliance of industry, academic and professional organizations, and government resources, called the Electro-Optics Alliance, which helps the EOC to integrate technologies and capabilities to solve electro-optic manufacturing issues.